Thank you all for a wonderful concert. 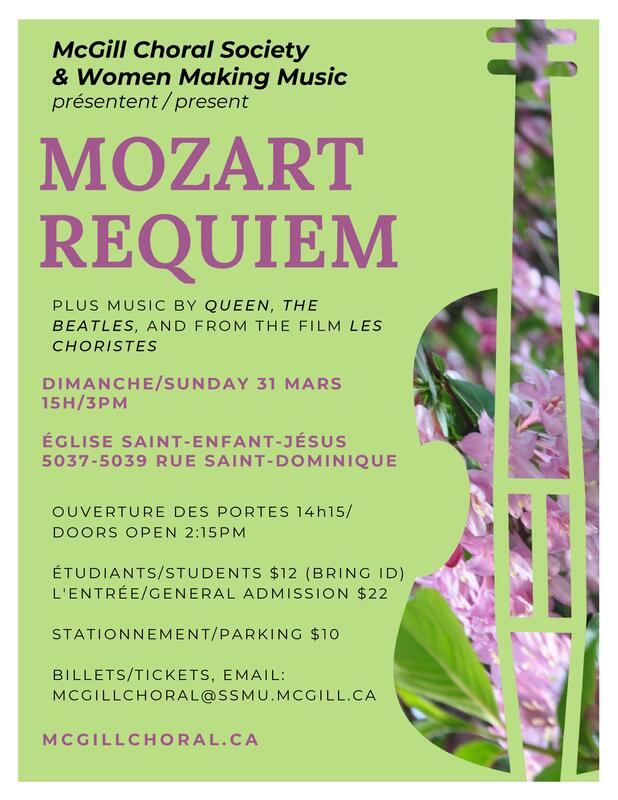 To view the picture of of concert please go to https://www.mcgillchoral.ca/zenphoto/Winter-2019-Spring-Concert-Mozart-s-Requiem/. MP3 recordings of the concert will be available for purchase soon at https://www.mcgillchoral.ca/shop/ for $11. Check out our Fall 2016 concert by clicking here!